Since C&H Hog Farms opened its operation in the Buffalo National River watershed, concerns involving the river’s safety and quality have been on the rise. We headed south to learn about the potential threats and examine the passion of the many involved. Photo by Jeff RoseIn 2016, the Buffalo National River brought more than 1.7 million visitors and upward of $77 million to northwest Arkansas. It was named one of America’s Most Endangered Rivers this year. 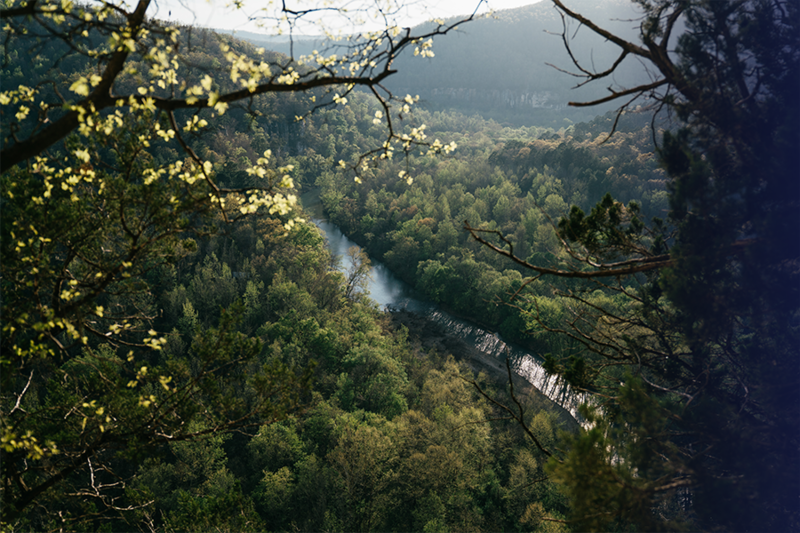 The Buffalo National River flows freely through nearly 150 of the most scenic miles in northwest Arkansas. 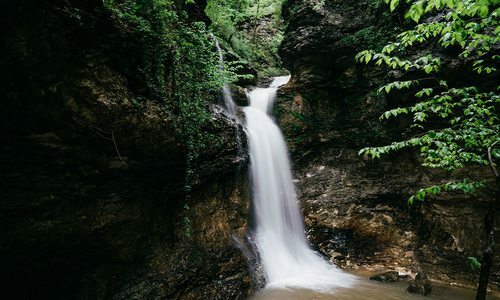 It becomes a point of beauty for everything in its path, cutting its way through lush Ozarks forests and hugging the feet of giant limestone bluffs. The water takes on a peaceful tone as it passes over rocks and rushes through rapids, creating sounds as intoxicating as the river’s views. Together they’re a magical thing—something that’s more than enough to make you forget your worries for a while. In 1972, President Richard Nixon designated the pristine waterway as the first national river of the United States, passing a sense of ownership along to each and every one of us. 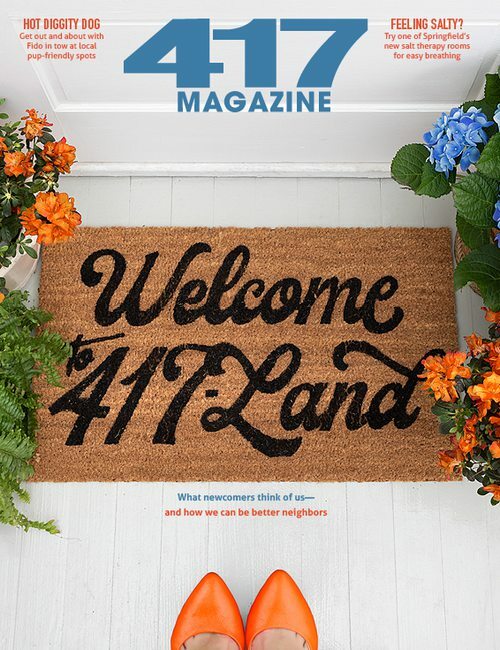 It’s our river—the residents of 417-land who frequent the area for weekend float trips and hiking adventures. 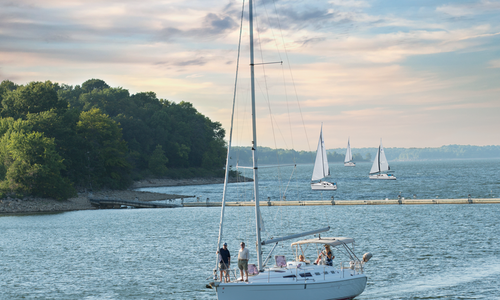 It’s Arkansas’ river, often referred to as the state’s crown jewel and proven to contribute to the nearby economy. The river brought in 1,785,358 visitors and $77,556,600 in 2016 alone. It belongs to Texans and Louisianans and Missourians and Oklahomans—to all its regular guests who come to paddle downstream and camp along its rocky shoreline. But perhaps more than anyone else, it belongs to the Arkansans who live in Newton, Searcy, Marion and Baxter counties—those who have grown up with the river in their own backyards. There has been an uproar about this national treasure in recent years. In 2013, C&H Hog Farms, a concentrated animal feeding operation (CAFO), began operating in the small Newton County town of Mount Judea, which is in the river’s watershed. Because water and nutrients that seep into the watershed’s groundwater might eventually make their way to the river, many fear that the farm’s waste could cause damage to the stream. 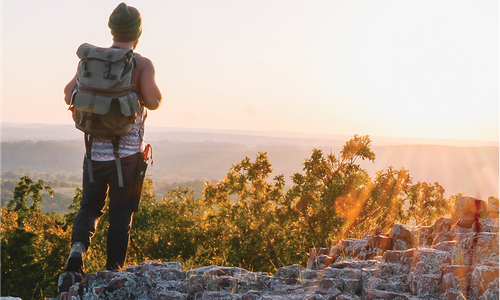 C&H and the river’s watershed are also situated on karst topography—a landscape sitting atop eroded limestone riddled with fractures, fissures, sinkholes, caverns and other voids—and some say this is cause for even greater worry. Concerns continue to arise, as the river was included in American Rivers’ 2017 America’s Most Endangered Rivers list due to the possible threat of pollution. The report was accompanied by photos of an unprecedented algal bloom. Others say there’s no reason for such concern. The American Rivers’ list was published just four months after the farm’s co-owner Jason Henson was awarded the Stanley E. Reed Leadership Award from the Arkansas Farm Bureau Federation. Arkansas Farm Bureau also recognizes Henson and the farm’s other co-owners—Henson’s cousins Philip and Richard Campbell—for their environmental concern regarding the river and the farming techniques they use to keep it sacred and safe. The farmers are known for their cooperation with the Big Creek Research and Extension Team, which was put in place by former Arkansas Gov. Mike Beebe and monitors the farm and its effects on the river and watershed. With multiple scientists and teams studying the issue, a lofty question is posed: Is the Buffalo National River really at risk? Gordon Watkins has lived near the Buffalo National River since 1977, and he regularly recreates on the water. He leads the Buffalo River Watershed Alliance that aims to protect the river and watershed. Photo courtesy Gordon Watkins. Newton County resident Gordon Watkins wears a weathered blue hat that reads “My Blue Heaven” in embroidered letters. This is the name of the rental cabin he owns on the Little Buffalo River, one of the Buffalo National River’s tributaries, and this cabin sits directly across the river from his home. “I’m often river-bound,” Watkins says, his salt-and-pepper speckled hair peeking out from the sides of his cap. “We have to canoe to get out sometimes. We’d canoe our kids out to the school bus at times when they were still in school.” Watkins originally moved to the area in 1977, purchasing land on which he would start an organic farm and later his rental property. “Around here, you’ve got to do alittle bit of everything to make a living,” he says. The river and its surrounding streams have been a part of Watkins’ life for 40 years. Today, he’s the president of the Buffalo River Watershed Alliance (BRWA), a volunteer, nonprofit organization created in direct response to the approval and opening of C&H Hog Farms near Big Creek, one of the Buffalo National River’s major tributaries. “Since 2013, I’ve probably spent 20 hours a week on stuff related to this,” Watkins says, speaking to his involvement with BRWA. The nonprofit group is one of several environmental organizations that opposes the location of the hog farm, fearing that its estimated 2.5 million gallons of liquid waste per year will eventually end up contaminating the river and groundwater. Watkins says BRWA has two primary goals: to see the farm close or relocate to what many might consider a more appropriate area and to make sure that no similar facilities or CAFOs—concentrated animal feeding operations—open within the Buffalo National River watershed. Marti Olesen, a fellow BRWA board member and former Springfield resident who moved to Ponca, Arkansas, in 1989, agrees. “Yes, we do have a small business,” says Olesen, whose family owns a historic general store, cabins and a canoe concession along the river. “And that’s important. But to me, the most important thing is that there are so few of these rivers. Rivers this clean are so rare.” Olesen speaks of the days when she moved to Arkansas 30 years ago; her husband was one reason, and the river was the other. “To see it destroyed because of something that was misplaced in the first place, well—that would break my heart,” she says. 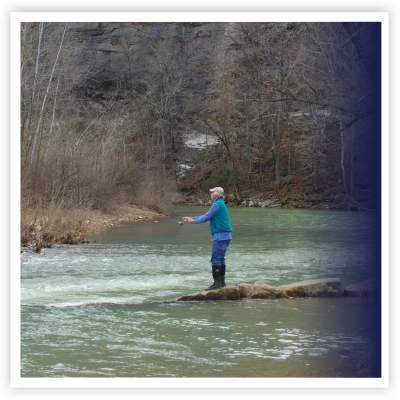 Steve Eddington, vice president of public relations at Arkansas Farm Bureau, often recreates at the Buffalo National River. 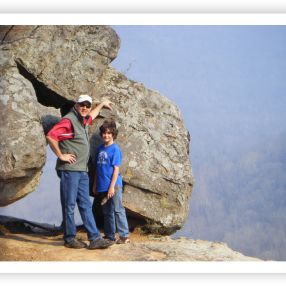 When he’s not paddling downstream, he enjoys other adventures—this photo was taken in 2008 while he and his son, Sam, explored an area hiking trail. Photo courtesy Steve Eddington. Jason Henson, farm co-owner and the “H” in C&H Hog Farms, politely declined to talk about anything involving concerns of the farm’s location for this article. “I don’t think his intent is to avoid anything,” says Steve Eddington, vice president of public relations at Arkansas Farm Bureau. “It’s just that he’s played this game before, and I don’t think he feels like he was treated fairly. As a result, he has the attitude of, ‘I’ll just let my work stand for itself, and the science that is behind it all stand for me and speak for me, and I’ll let it all stand on that.’” Eddington is referring to the public opinion that has seemingly arisen about the families who own the farm—the opinion that the farm families don’t care about the Buffalo National River. Eddington argues this couldn’t be further from the truth. Due to his role at Arkansas Farm Bureau, he has relationships with both the Henson and Campbell families—the “C” in C&H Hog Farms—and he says they are all very much in support of the river’s safety. “Jason Henson was baptized in Big Creek,” Eddington says, his words putting his thick Southern accent on display. Big Creek is the Buffalo National River tributary situated near C&H, and it’s the main concern of many enthusiasts. “He taught his daughter to swim there,” Eddington says. “To suggest that he doesn’t have as much passion about it as person X—that’s nonsense.” Eddington himself also has a passion for the stream. “In the 40 years that I’ve lived in Arkansas, I’ve probably been to the Buffalo River 30 times,” he says. After Jason and his wife, Tana, went to college and had a stint in the corporate world, they decided to move back to Mount Judea. It’s the small, familiar town where they grew up and where they graduated from high school. It’s where Jason wanted to join in the family farm business with his cousins. “Hog farms in the Buffalo River watershed are not uncommon,” Teague says. “This is nothing new. There have been hog farms in the Buffalo River watershed since back in the ’70s, ’80s, even the ’90s.” C&H is home to 2,500 sows, which, of course, proposes the numbers argument. But this can also be seen from another point of view. “There are fewer sows associated with concentrated animal feeding operations in the Buffalo River watershed now than there were 20, 30 and 40 years ago,” Teague says. 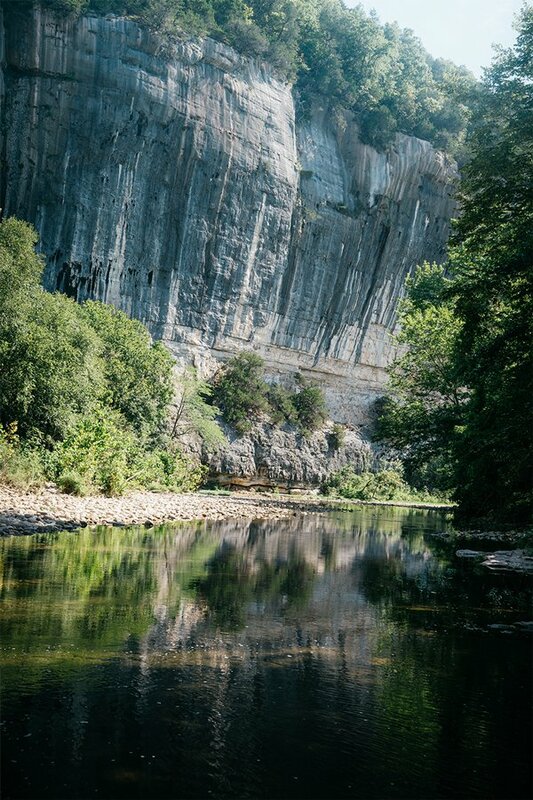 Photo by Jeff Rose.Some people worry C&H Hog Farms will have negative impacts on the Buffalo National River’s water quality due to the farm’s location and the region’s karst topography. Others say the farmers are taking the proper precautions to protect the river and the watershed. Ask anyone who opposes the farm’s location their reason for doing so, and the area’s karst topography will be one of the first things they mention. 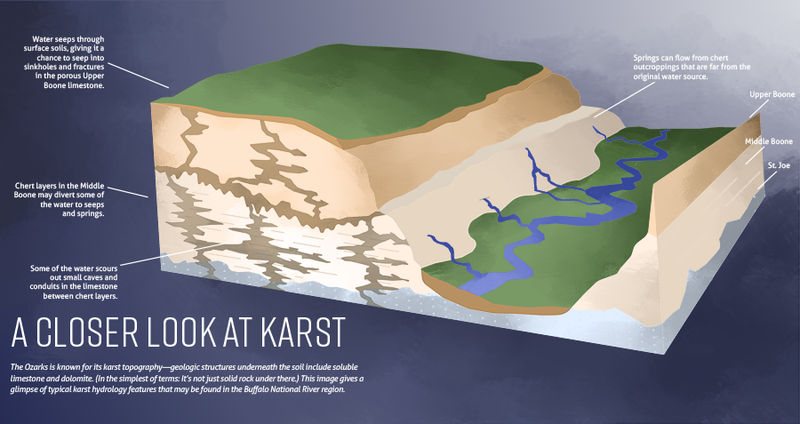 Karst refers to the landscape containing limestone that has been partially eroded—it’s been compared to the makeup of Swiss cheese. 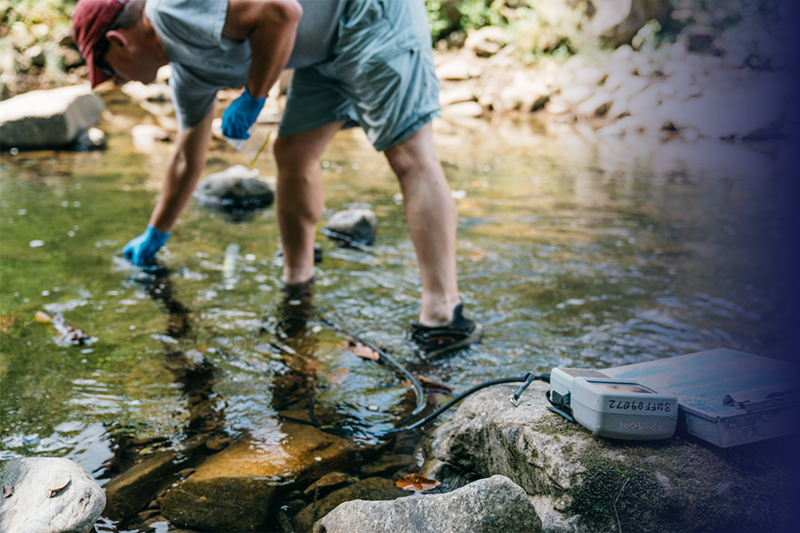 “There are a lot of assumptions with water quality monitoring that go out the window when you’re in karst environments,” says Jessie Green, executive director and waterkeeper for White River Waterkeeper. 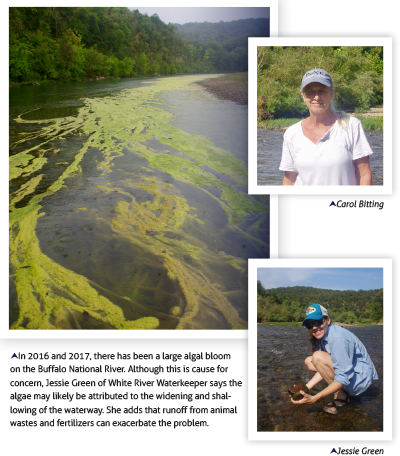 Carol Bitting, a Newton County resident who has lived on the Little Buffalo River for more than 15 years, is also very familiar with the area’s karst landscape. She knows the river inside and out—she’s floated it, backpacked along it and even swam most of it over and over throughout the years. And she’s also explored the area around it. “Me and my husband met because we’re both cavers,” says Bitting. Bitting’s husband, Chuck, works for the National Park Service, and one of his duties there is acting as a cave specialist. Carol has volunteered to explore many of the caves in the watershed with him. “Traveling through caves and being a caver—you see how that water flows,” Bitting says. “A good example of this is to go to Top of the Rock and sit there and look at what can happen.” Bitting is referring to the sinkhole that collapsed at Top of the Rock in 2015. Part of the reason karst doesn’t affect the watershed, Teague argues, is because of the depth of the soil. “What they also fail to tell you is that there’s three to four feet of topsoil, particularly in the areas around Big Creek,” Teague says. He goes on to speak about the dye-tracing studies, but states that an old 40-foot hand-dug well was used as an injection point. This is not representative of how the farm operates, Teague argues, as the manure is applied to pastures in small, regulated amounts. C&H is a farrow-to-wean operation. It is home to 2,500 sows, and those sows give birth to piglets. The piglets are raised to a size of about 12 to 15 pounds, and then they are shipped to other states. They are finished and slaughtered in surrounding states including Texas, Iowa, Kansas and Missouri, and the meat is sold across the U.S. and possibly overseas. But it’s not the farming process that BRWA board members and others are concerned about; it’s what happens to the waste from these sows and piglets. Bailey goes on to state C&H might even be a benefit to the watershed. “Everyone perceives that there will be an increase in the amount of nutrients to the Buffalo River,” Bailey says. What people don’t realize, Bailey says, is that C&H Hog Farms is permitted to apply waste on fields and pastures, and these fields and pastures were long in existence prior to C&H ever being in operation. Since these fields already existed and were being farmed, they were receiving fertilizer application, whether through chicken litter or commercial fertilizer products. “I’d like to point out that they don’t need a permit to do that,” Bailey says. “So, if they could get a truckload of chicken litter, they’d put it out. With C&H, they have only a permitted amount they can put out, so it’s 100 percent managed. In reality, nutrients could actually be reduced in the watershed as a result of C&H being in operation.” A decrease in nutrients would be considered good. Photo by Jeff RoseShawn Hodges of the National Park Service collects water samples for testing near Ponca, Arkansas. 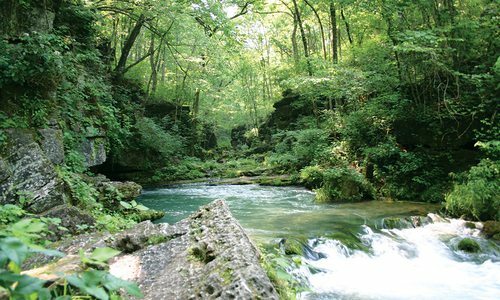 The National Park Service is just one of multiple organizations that monitors water quality on the Buffalo National River. When it comes to worries of the watershed, the location of C&H is not the only cause for concern, and people who fall on both sides of the issue will tell you that. “I assume that we have a lot of issues with failing septic tanks throughout the watershed,” White River Waterkeeper’s Green says. “We also have high E. coli.” There is an additional concern regarding feral hogs and algae. “There was a really large algal bloom in 2016, and there was another in 2017,” says Turk from KHBNR. Some say the blooms might be related to waste from the farm, but others, including Turk, say there’s no way to prove that at this time. “This river is in trouble, and not just from the hog farm,” Turk says. One thing that gives some individuals hope is the talk of microbial source tracking. This is a set of techniques used to determine the source offecal indicator bacteria. “Microbial source tracking will help us figure out our sources, but also help us figure out what our next steps need to be,” Green says. She hopes to start the tracking through her role as White River waterkeeper one day in the future, and she plans to start collecting samples for it next spring. A slight problem with it, however, is that even if the tracking determines pollution from a specific source, such as hogs, it might be from feral hogs, or it might be from C&H hogs, or it might be from any other hogs located and farmed within the river’s watershed. As more time passes, there will also be more conclusive data available from BCRET’s study—it was planned to be a five-year study from the start. The quarterly reports available today can all be viewed online, but even these findings are interpreted in a variety of ways. “At the moment, we haven’t seen any dramatic changes, trends or shifts,” says Sharpley, who also specifically stated BCRET does not claim to be on a particular side of the issue. He says it takes time to come to reliable conclusions for various reasons. “We want to make sure that, over the long term, the ability for the soil to buffer those nutrients isn’t compromised,” Sharpley says. One thing that’s for sure, though, is that the watershed is under close watch, and particularly in the Big Creek area. “It’s being looked at more intensely then probably anywhere else in the country,” Sharpley says. The Buffalo National River watershed, and particularly the Big Creek tributary near C&H Hog Farms, is arguably one of the most studied watersheds in the country. These are some of the teams collecting data for various studies. members online at bigcreekresearch.org and read quarterly project reports dating to as early as October–December 2013. The National Park Service has been collecting data up and down the Buffalo National River since 1985. It continues to collect samples. Find more information and see various reports online at nps.gov/buff. KHBNR is an independent research project that was initially designed and directed by eminent karst hydrogeologist John Van Brahana. Its purpose is to assess and document water quality of surface water and groundwater as it flows through the watershed’s karst landscape. Learn more about KHBNR at buffaloriveralliance.org/KHBNR. The USGS monitors water quality throughout the state of Arkansas, including multiple spots along the Buffalo National River and its tributaries. More information and readings can be found online at waterdata.usgs.gov/ar/nwis. While the National Park Service does its own testing, it also partners with ADEQ to assist in its testing. (Water quality sites are collected by Buffalo National River staff using ADEQ methods and are passed to the ADEQ Laboratory.) The state also does additional monitoring. You can find more information online at adeq.state.ar.us.